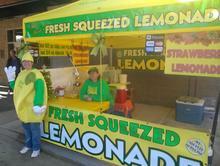 We have a variety of set ups for your location including a 10x10 tent or an inflatable lemon stand. 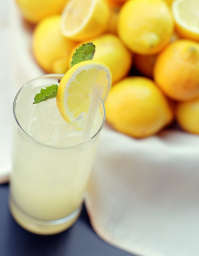 We take pride in our wide selection refreshing drinks including original lemonade and fresh fruit lemonades. Refreshingly cold in the summer heat. 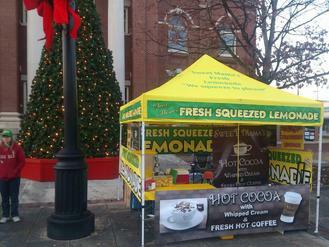 We also offer hot drinks to warm you in the winter: cocoa with whipped cream, hot spiced apple cider, and fresh brewed coffee. 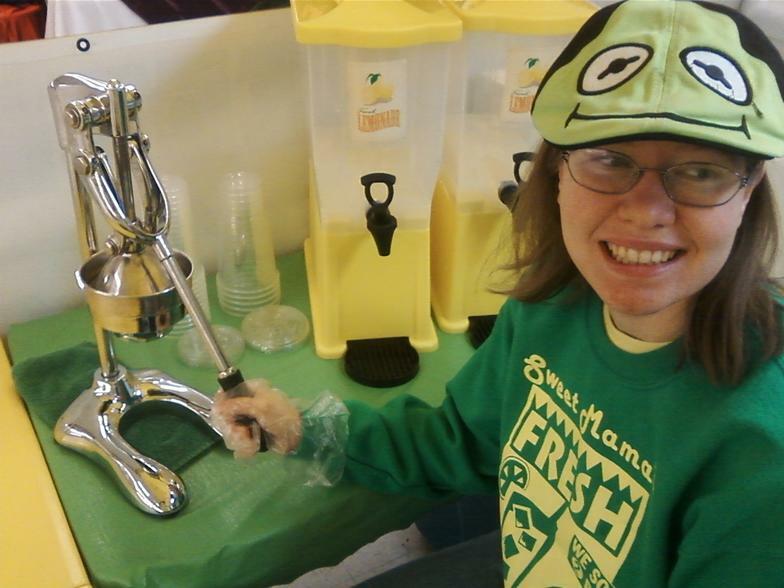 Our kid-friendly mascot is here for a friendly smile and wave or allowing your child to give the Lemon Drop Kid a squeezing hug. 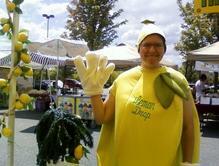 Create family memories as parents photograph their little ones with our Lemon Drop Kid. 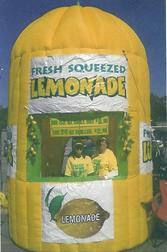 We can also set up our 13' high inflatable lemon stand. 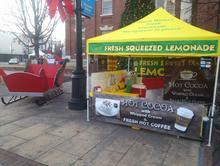 We can accomodate cold weather events by offering hot cocoa with whipped cream topping, coffee, and hot spiced cider. 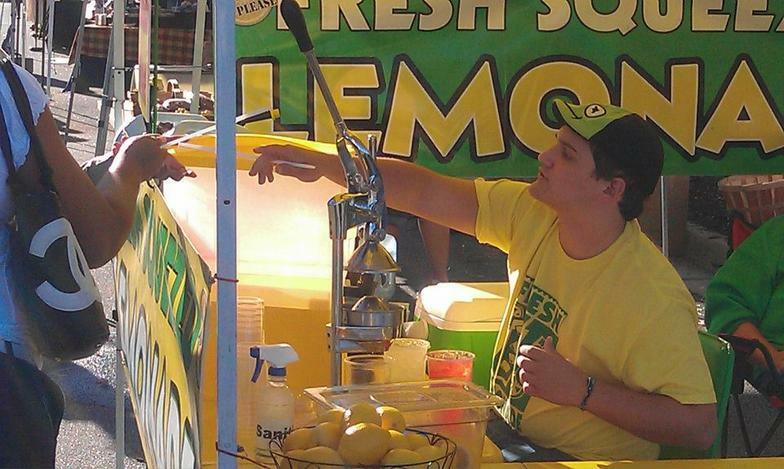 We offer an all-natural, fresh squeezed, original lemonade sweetened with pure cane sugar. 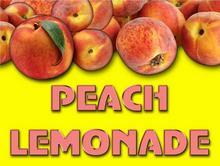 For the more adventurous lemonade lover, we offer seasonal fruit infused lemonades: strawberry, peach, & blueberry. 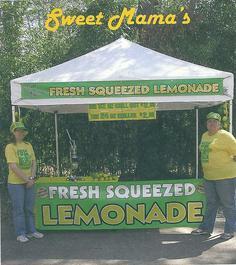 For the health conscious, we offer the original lemonade sweetened with Stevia. "Squeeze 2 Please" apparel line coming soon.